Why should a potential customer give you the time of day when they already have too much on their plate? There’s a reason why customers don’t see value in salespeople, because to be quite blunt, most salespeople don’t bring value. To many customers, there’s zero difference between salespeople and, therefore, it doesn’t matter who they deal with. If you sell in a commodity-oriented business or an industry with a lot of competition, you must stand out. You must stand out to give the customer a reason to want to buy from you and, more importantly, a reason why they should refer you to others. When we stand out from our competitors, we’re giving our customers a reason to refer us to others. 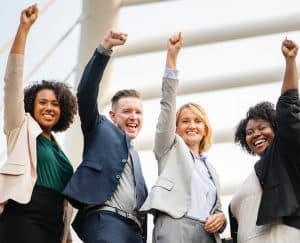 One of the easiest ways to grow your sales is having your current customers pre-sell you to others by way of referrals. This is a hot issue with me right now, as I’m preparing to speak at Sales Machine Summit in NYC June 15-16. Register today at this link and receive 20% off by entering promotional code MHUNTER. I’ll be speaking immediately after Fredrik Edlund, who is the #1 real estate agent in New York City, and ahead of Ariana Huffington, co-founder of the Huffington Post. These two people didn’t get to the top of their game without standing out from the their competition. Some of their uniquiness is simply who they are. Fredrik is 6’ 5”, giving him a commanding presence with anyone. Arianna speaks with her native Greek accent, which pulls people into her conversation. We will never be noticed in the crazy world of sales unless we stand out. 1. Develop a signature greeting. From the moment people meet you, whether it be in person or via the internet, what is it about you that allows you to stand apart? 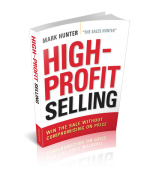 I use “Great Selling” as my signature line, both on-line and when I’m speaking. 2. Make sure your on-line presence and your photo are unique and different from others. I use a green background on my photos as a way of creating contrast and allowing it to stand out more even when it’s only a thumb-nail image. 3. Leverage your personality. Don’t become part of the crowd. I’m constantly asking people regardless of their level of position if they’re having fun making a difference. For me, this is my personality. I want to make a difference, but I want to have fun along the way. 4. Demonstrate passion for each person you meet. 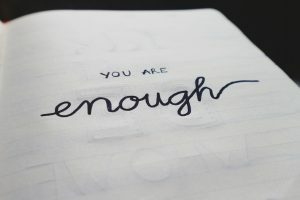 Selling will always be a one-to-one activity, and if you can’t demonstrate passion and a strong sense of caring and support for everyone you meet, you are irrelevant. Being passionate about others doesn’t mean doing so with just your customers. No, it means showing you care with each person you meet, regardless of who they are. 5. Make every action be one that demonstrates integrity. In the race to be unique and stand out, some people resort to dropping f-bombs and using other language that is simply stupid. Integrity takes a lifetime to build and requires only a second to lose, and that’s exactly what I see when people do stupid things. 6. Never forget you’re the one who controls your results, and it starts and ends with your own positive belief in yourself. You’re saying, “Wow, that’s a different list than I would have expected.” You’re right! It is different, but to be different in the eyes of others you first have to see yourself differently. 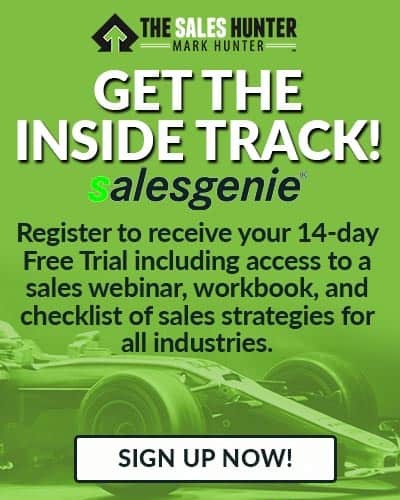 Now, if you’re serious about being different with your customers and understanding what it is going to take to move your sales to the next level, then you need to join me at the Sales Machine Summit in NYC June 15-16. Register today at this link and receive 20% off by entering promotional code MHUNTER. 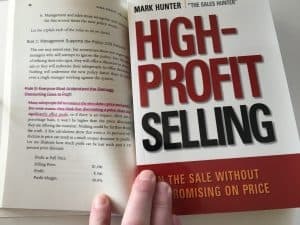 When you register, drop me an email telling me, and I will send to you in early September an autographed copy of my new book, High-Profit Prospecting. Along with the line-up of speakers I mentioned earlier, also speaking will be sales experts John Spence, Laura Stack, Colleen Francis, Jim Keenan and many others. Mark, even though these six ideas for differentiation are definitely real and most likely they should differentiate they do not add value to the cutsomer. They are, I think – centered mostly around the sales person. In addition, none would qualify as big enough to gain “recommendations” of any kind. Good tips but not what promised in the opening line (as none makes “a good reason for buyers to want to buy from you”). Respectfully- B. Thanks for the tips Mark. Based on what your have written I need to focus more on 1. Develop a signature greeting and I think I may have let 3. & 4 slip a little over the last few years.